It’s hard not to get interested in politics and history when you’re in Berlin, especially with a history as recent as theirs. 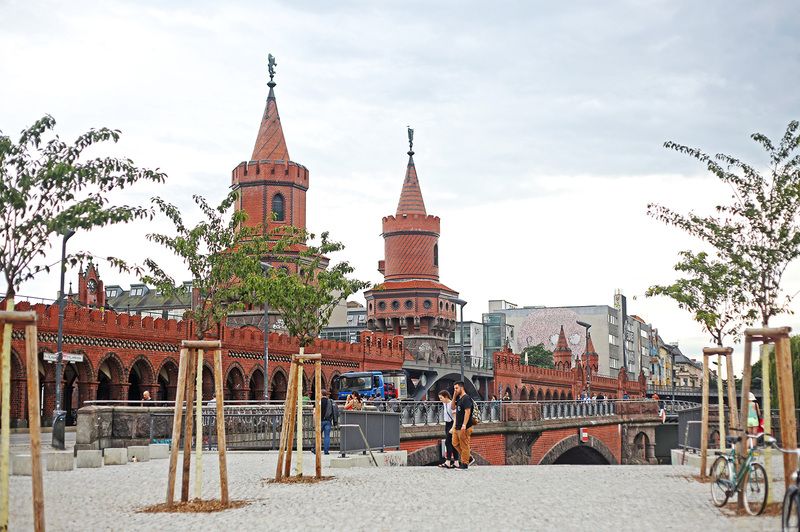 Prior to coming to this city, I’ve already heard about the Berlin Wall and how it divided East and West Berlin during the Cold War but that’s pretty much everything I knew about it. Little did I know that the Berlin Wall and everything else that happened because of it would be the recurring topic in most of my conversations with Berliners on this trip. You see, the Berlin Wall was built on August 13, 1961 and was only started to be destroyed on November 9, 1989, so the events that happened during this time are still very much part of Berlin’s collective consciousness. From the moment I arrived, I heard so many dramatic stories about it, like how families and loved ones were suddenly separated because the wall was built at the wee hours of the night of August 12. When they woke up the next day, those from the East who worked at the West were surprised to find out they don’t have jobs to go to anymore. Those who went on a short trip to the West/East couldn’t go back to their homes and families living on the other side. Back then, a lot of married young couples still lived separately because they couldn’t afford their own homes or couldn’t find a place yet. They’d live with their parents first and see each other during the day. These couples suddenly found themselves not able to meet their own husbands/wives because of the wall. It was heartbreaking to see photos of this time especially of people waiting at the border, just to get a peek of their love ones or those crying and talking to their loved ones from an apartment window located on the border. (Try googling images of “Berlin Wall Families Separated” to get an idea of what I’m talking about.) The wall was built so fast and measures to prevent the East Germans to emigrate to the West were taken so drastically that so many of the East Germans tried plenty of ways to escape. More than 5,000 East Germans (including some 600 border guards themselves) managed to cross the border by jumping out of windows adjacent to the wall, climbing over the barbed wire, flying in hot air balloons, crawling through the sewers and driving through unfortified parts of the wall at high speeds. Some even dug tunnels underground which my sister and I learned so much about when we went on an underground tour of Berlin. Of course, not all escape plans were successful and a lot of people died trying to get away. 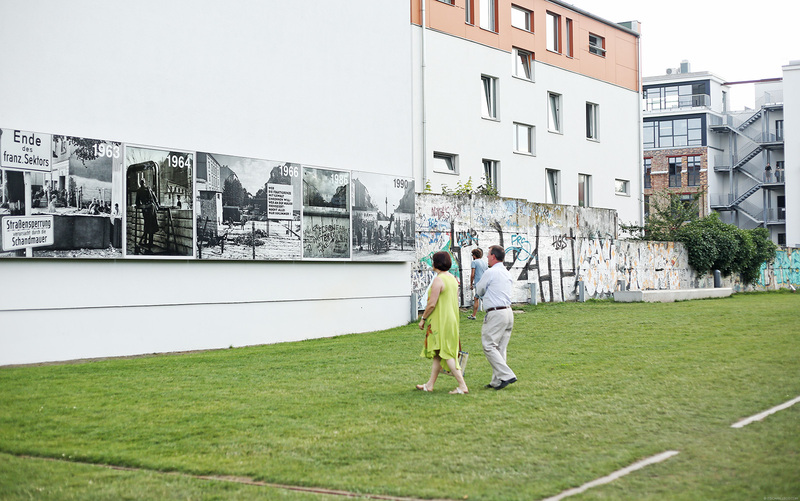 In present day, there’s a Berlin Wall Memorial that extends along 1.4 kilometers of the former border strip located at Bernauer Strasse. 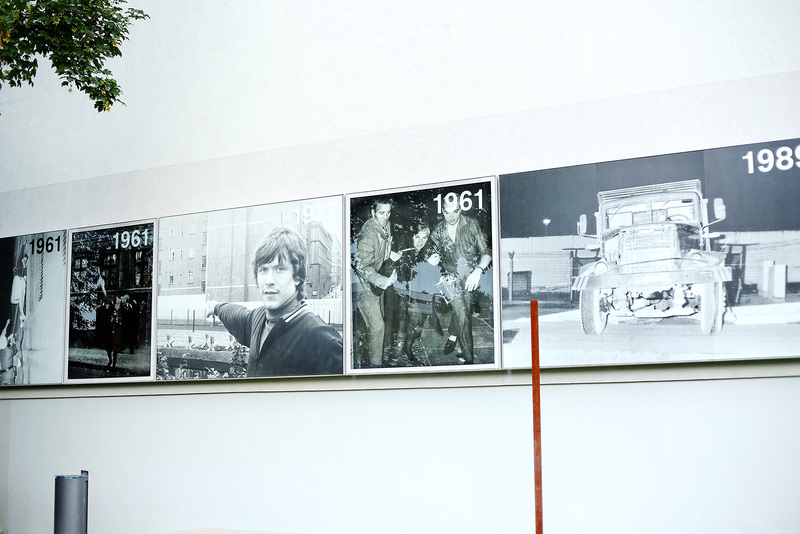 Here, visitors can find information about the Berlin Wall and all the dramatic events that unfolded because of it. It’s the perfect place for the memorial because “the street’s history shows how the Berlin Wall destroyed both the urban space and people’s lives.” Because Bernauer Strasse ran between two city districts, the border line created a peculiar situation where the buildings on the south side of the street belonged to the East but the sidewalk in front of these buildings remained a part of the West. It was here that people tried escaping to West Berlin by jumping from buildings’ windows and houses’ rooftops. This is also where the first victims of the Berlin Wall died. As you can see on the right side of the photo, only a few sections of the original more than 140-kilometer long wall remains. The red steel poles mark the rest of the Berlin Wall and where it should’ve been if it was still around. When it was announced on November 9, 1989 that the borders are now open to everyone, people came to the wall with whatever tools they could get their hands on to chip off parts of the wall and do their own demolition jobs as well, while West Berliners waited for them on the other side with flowers, champagne and cheers. 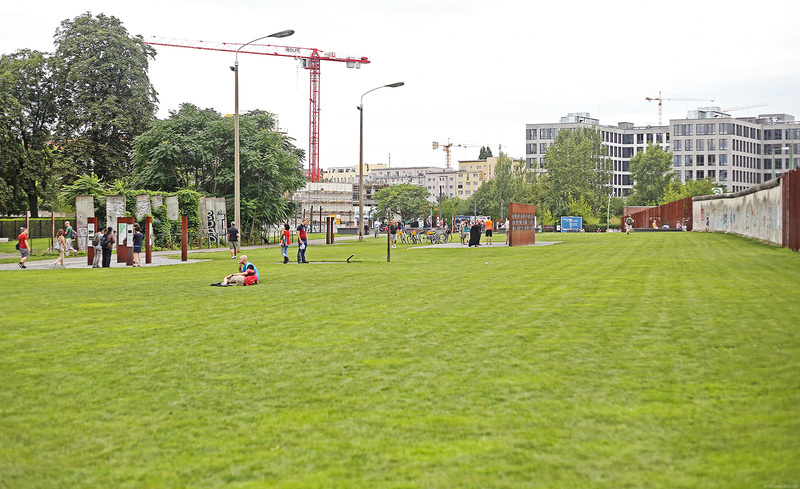 On the night between November 10 and 11, 1989, it was also here that the first segments of the Wall were knocked down, somewhere between Bernauer Strasse and Eberswalder Strasse. 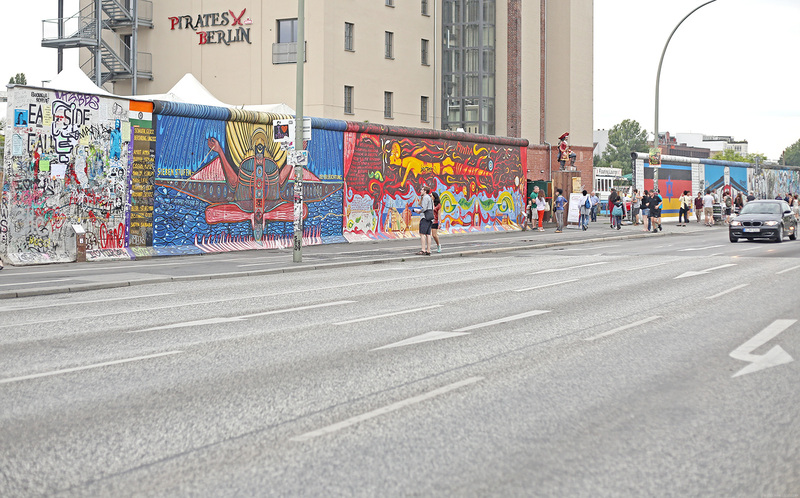 The wall on the right (the one with all the graffitis) is part of the original inner wall of the border. As years went by, the Berlin Wall wasn’t just a wall, it was composed of two parallel walls some 100 meters away from each other. All houses and structures caught between these 2 walls were razed, including the Reconciliation Church. The space between the 2 walls was later called the Death Strip. 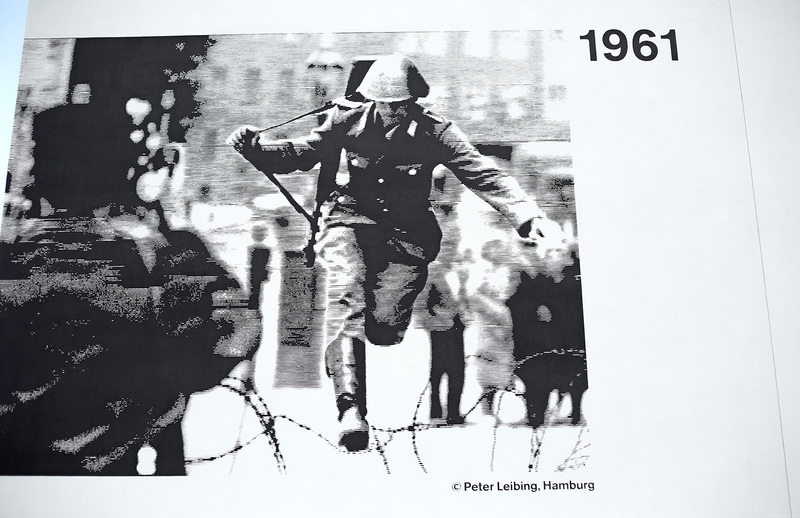 East Berlin border guards had orders to shoot anyone who tries to escape or defect from East Berlin. One of the most famous victims of this was Peter Fechter. He was shot just before he could climb the top of the border to West Berlin. He fell back on the Death Strip and was left there to bleed to death. All this was captured by Western media and spurred even more negative publicity for the East. This is one of the most famous and iconic photos of the Cold War. It’s a photo of Conrad Schumann, an East German soldier who was assigned to guard the border on its third day of construction. At that time, the wall was only a low barbed wire fence so he quickly jumped over it to escape to West Berlin and rode the police car West Berlin Policemen drove him away in. 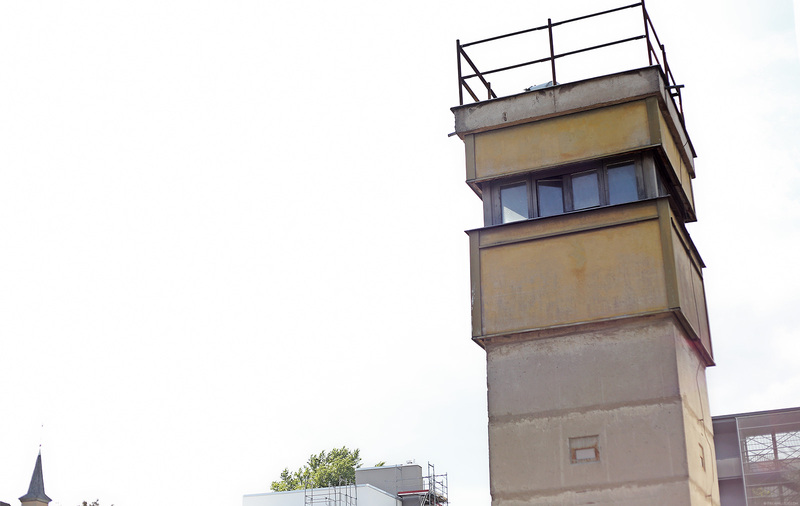 This is one of the many watchtowers placed along the Berlin Wall. 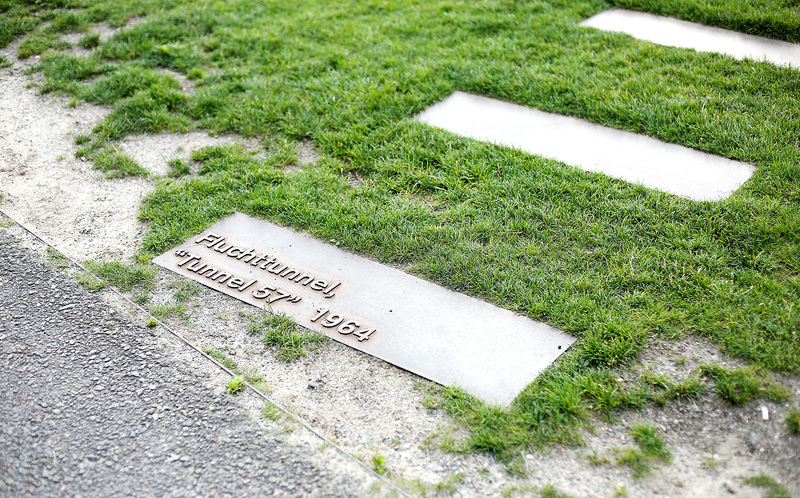 These steel plates mark the path of Tunnel 57, an escape tunnel that a group of around 25 West Berlin students dug for five months. It’s called Tunnel 57 because that’s the number of people they successfully helped escape. Some were their girlfriends, loved ones and friends, while others were just random East Berliners whom they wanted to help. 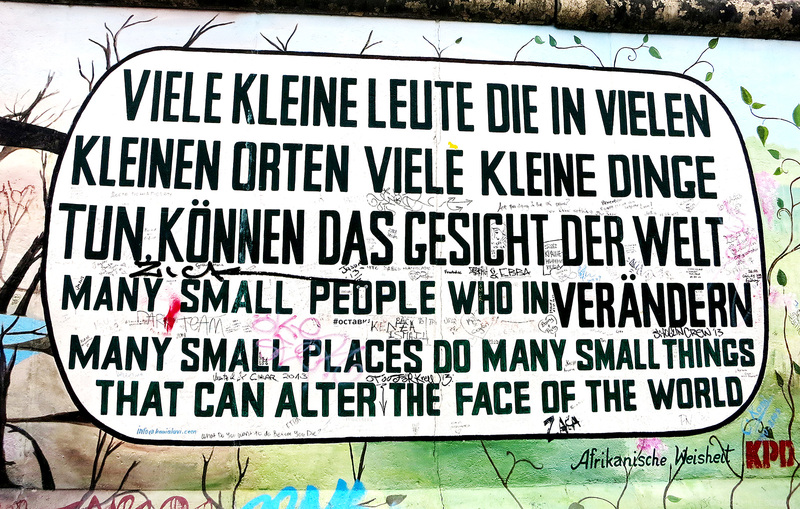 Another memorial that the Berlin Wall gave rise to is the East Side Gallery, located along the banks of the river Spree in Friedrichshain. 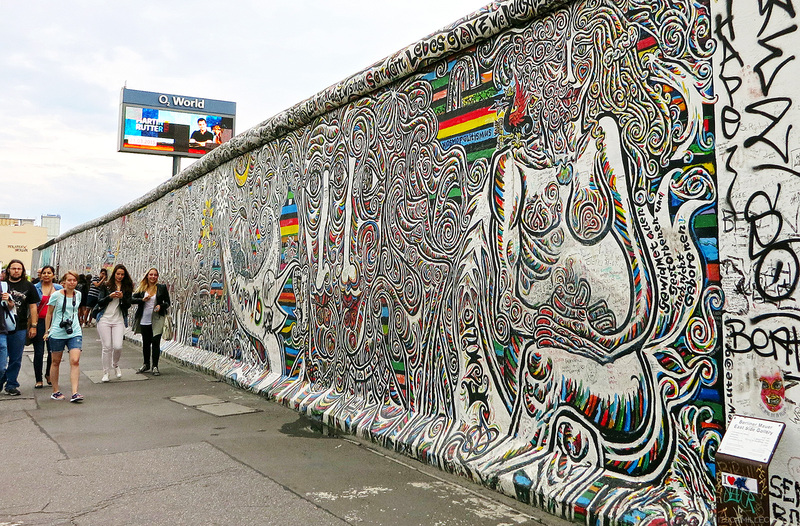 While the Berlin Wall Memorial is all about the historic events that unfolded during those times, the East Side Gallery is an international memorial of freedom, consisting of paintings by 118 artists from all over the world. 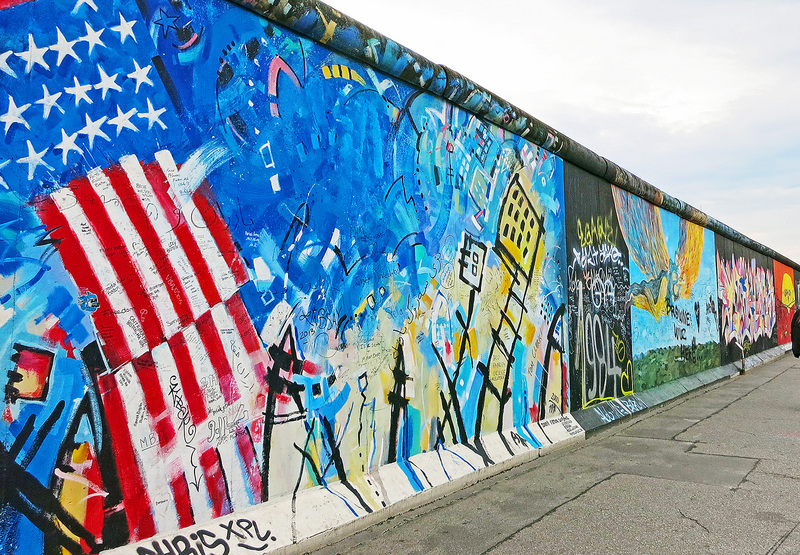 This 1.3 kilometer long wall is the longest section of the Berlin Wall that is still standing. What a great way to integrate it into the city’s landscape! 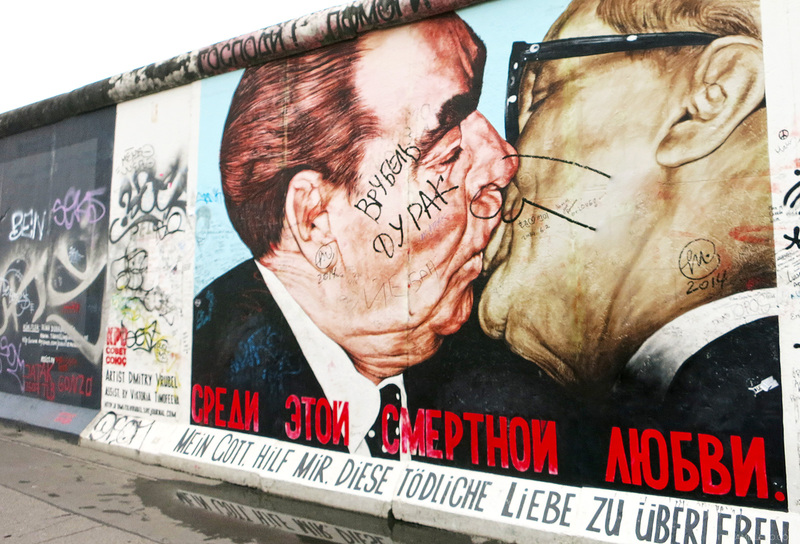 During the Cold War, the west side of the Berlin Wall already had graffitis on them but you won’t see any of these on the east side. All these paintings now are painted on the east side of the wall which I think is such a powerful symbolism. It’s pretty obvious how interested I am with the Berlin Wall and all the events that ensued because of it. I think it’s because it perfectly portrays how we, as humans, naturally long for freedom and unity. They’re two abstract notions that we constantly fight for but are continuously being challenged, both on big and small scales. The fall of the Berlin Wall is a huge success story, not just for Berliners and Germans but of the whole human race. It’s always a good day when freedom and unity prevail. Always a good day. I just read about the concentration camp and now this. Berlin has a lot of heartbreaking history. I think this is why a lot of people here are passionate about politics. They don’t want history to be repeated. 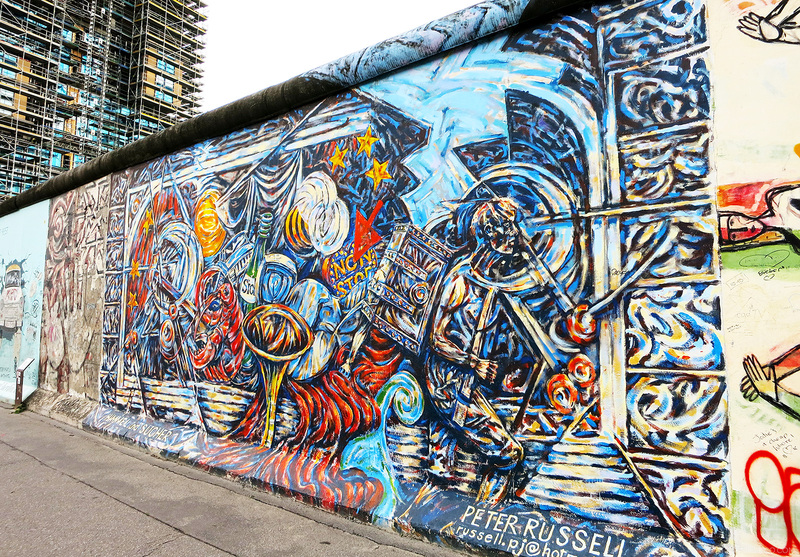 My Apartment is just a 10 minutes walk from the East side Gallery. Nice to hear that our Kababayans are are also interested in visiting some historical places in Berlin. Thanks Katrin! Gosh no, I can’t be a history prof for sure! I really really love the artwork! So much history talaga. It’s so admiring to see countries na inaalagaan ang history nila, lalo na sa Germany. They may have had such a dark past, pero in a way it’s also sending a message that, peace, love, respect, freedom and unity should always be upheld. Awwww :( Don’t worry, I didn’t get to to the first time. Now I did! :) Maybe you’ll be going back too! i love the graffitis! and the walls really worked as a background! heheehe Take me to Berlin! I am seriously in love with your travel posts all the more now that you actually give us SO MUCH information! Whenever I travel, I feel like I’m a new person once I come back home. There’s really something about travelling that enriches me on so many levels. BTW Camille, I see that you’re wearing your white sneakers…I have white ones too from Vans pero canvas not leather…tanong ko lang if you happen to know kung paano alisin yung yellow stains from canvas shoes? They appeared kasi when I first washed them eh. Thanks Tasha! I feel the same way. Traveling really offers a different kind of experience and growth. Thank you Paola! oh dear, you’d have to fight my sister for that first haha! She gets first dibs! I love the graffiti wall photos! <3 It saddens me to know that I actually went to Berlin when I was around 6 years old, and I don't even remember most of it and definitely wasn't able to appreciate it at all. I wish I could go back to those places now that I'm older lol. The history associated with it is definitely very interesting and worth researching on. How come this was never taught in my world history subject? Thanks Ms. Camille for sharing such important events that happened before like the ones you post. As Ate/Kuya Jub said in her/his post, there really is something that separates you from other bloggers and I’m really learning a lot from you. This is why you’re my favorite blogger of all time! 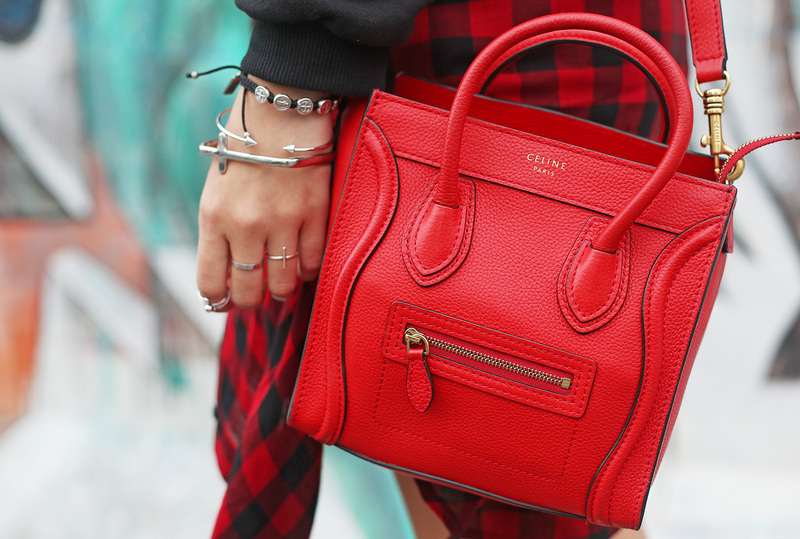 Love the historic details of this post and your outfit is amazing for such a trip. Berlin Wall indeed is a must-see in Berlin! It’s so nice to see how Germany keeps their history alive even though the events were really sad and gruesome. I hope we’re like this in the Philippines too… :) Their graffiti are Instagram worthy too haha! I hope ours is like that as well! Hahahaha Ate Cams!!! The first time I saw this, I was like “Hindi nagshorts si Ate Cams sa Germany O_o” HAHA! Then I scrolled down and it was a sweater dress pala hahaha!! But I guess you do have shorts on ! hahaha! Germany is such a beautiful place!! I hope to go there someday! :) But first… I have to learn how to speak and pronounce German words haha! Haha ang cute mo po ate cams :) while reading your reply especially the “uy i got these on sale! Super duper sale!” I can hear your voice in my mind (your voice during the ice bucket challenge) hahaha. Ooh i wanna go there and takes lots of picture because of the walls huhu the only place i’ve been to na may parang ganyang walls is BGC and I knew that place coz of you haha. Haha! Thanks Clariss! Ang daming nice wall art in Berlin! Guess this is going to be my favorite post from you in Berlin from now on. 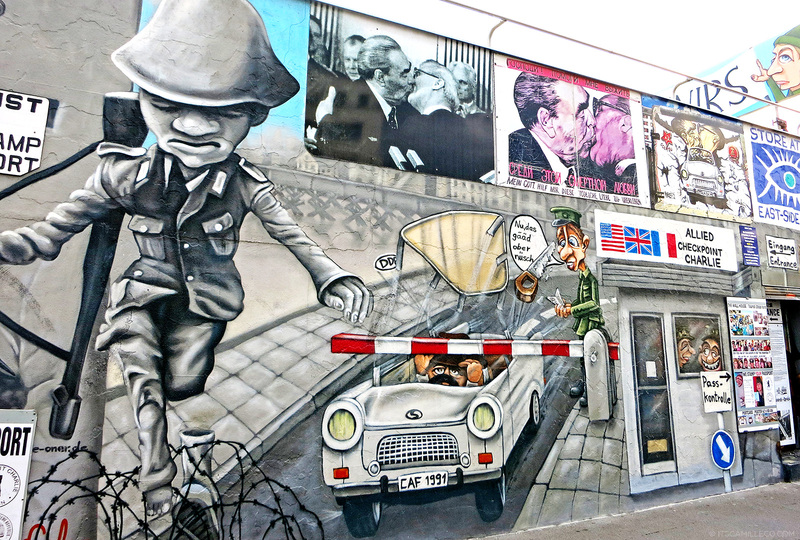 The Berlin Wall is definitely a must-see in Germany’s capital city and I liked the way you portrayed it. Another special feature of the Wall are naturally the paintings. Try wearing some minimalistic outfits with no patterns and few colors in front of them and I’ll promise you: it’ll look fabulous. Furthermore: Indeed, always a good day. I’m sure it will! :) Thank you! The most exciting part of you going overseas is the fact that we get to expect very good content and inspiring posts like this when you come home. Reading your blog posts is actually my guilty pleasure and sweet escape during lunch break at the office even though I’ve read them before. Hehe. You are really different from all the other bloggers from the Philippines. There’s something about you that spells passion and that separates you from the others. You are truly inspiring and very dedicated. Awww thank you Jub! This is why I take short breaks and sometimes don’t blog everyday. 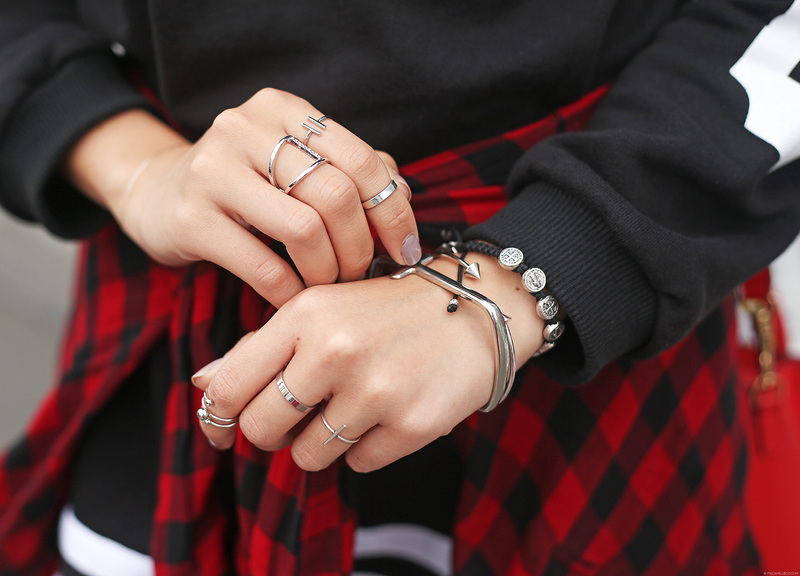 I want to always feel inspired when I blog, I’m happy you can see it! :) Yay! Wow Cams. There’s so much history in here! And your top is even very fitting. 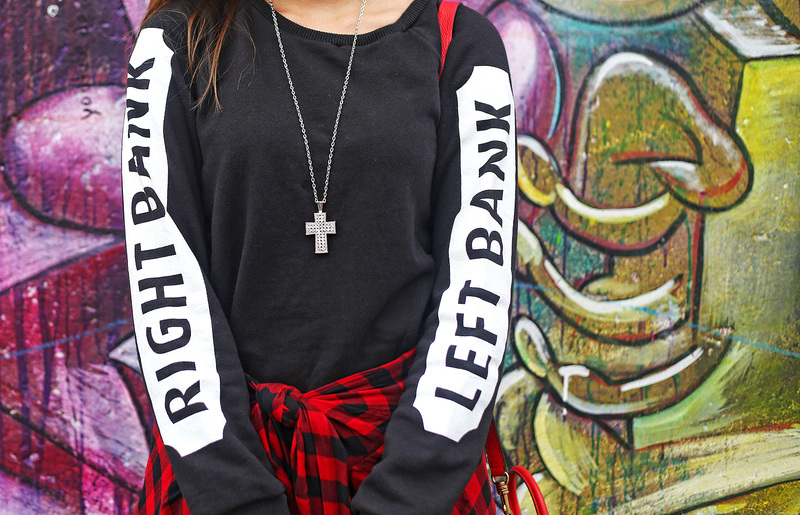 Right bank-Left Bank. East and West. Was that intended or plain awesome coincidence? The Berlin wall between lovers and families reminds me so much of Pyramus and Thisbe from my Greek Mythology class years back. I really loved that one even though it was heartbreaking. I could just imagine how happy those reunited loved ones were when the wall went down! Oh and yes Tunnel 57… wow the things people do for love. I merely wanted to wear something edgy to suit the walls and then only realized the “left and right bank” words later on during the day. That’s so sad :( thank you ate cams for sharing all these historical happenings. Good thing that the walls were turned into artworks and not just left them there looking abandoned or else that place would look so devastating.